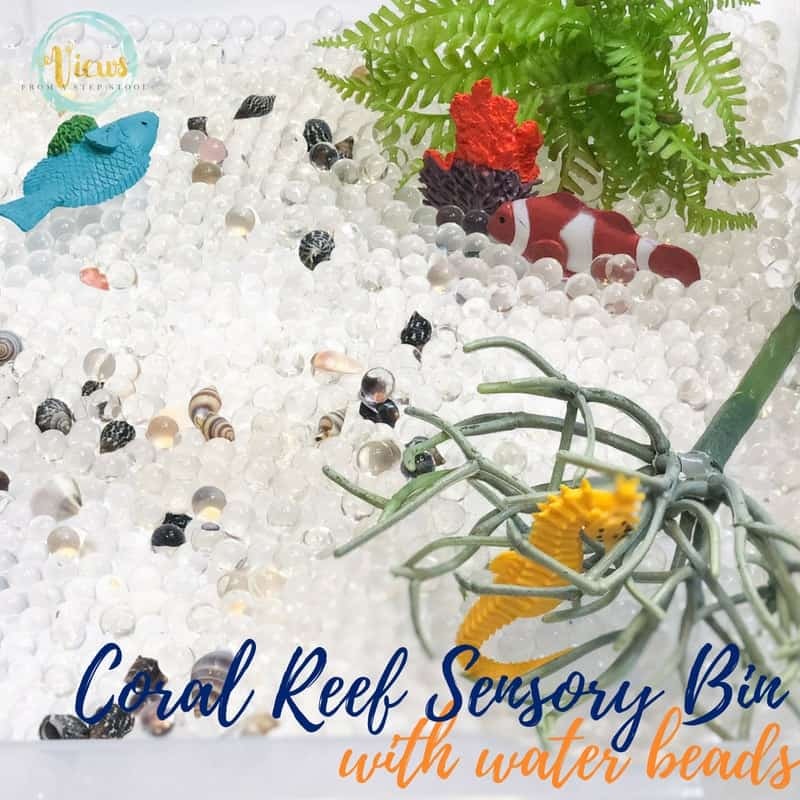 This coral reef sensory bin includes fun ocean animals and plants along with water beads for engaging sensory play for kids. 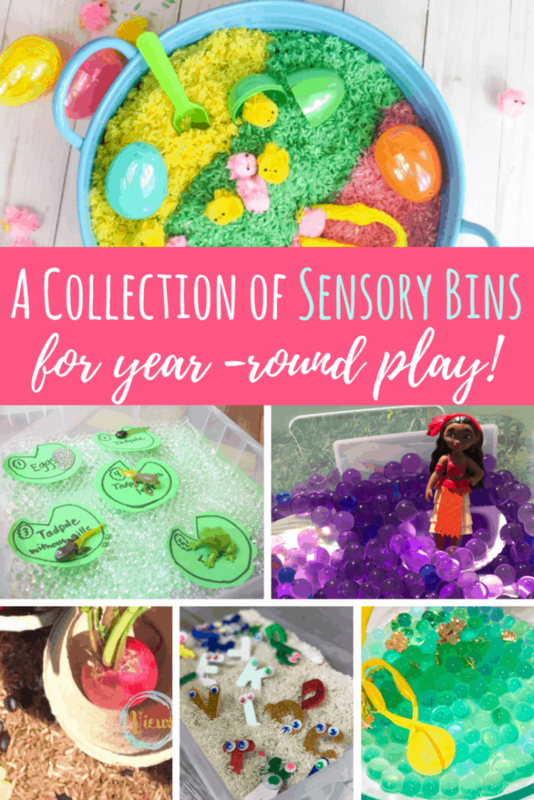 We love sensory play for year round play and fun. 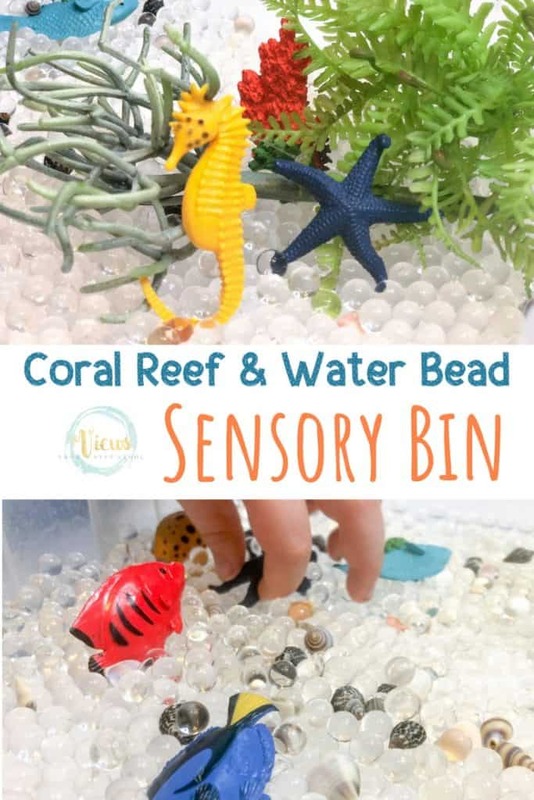 This simple to set up coral reef sensory bin uses water beads as a base, which my kids just love to play with. 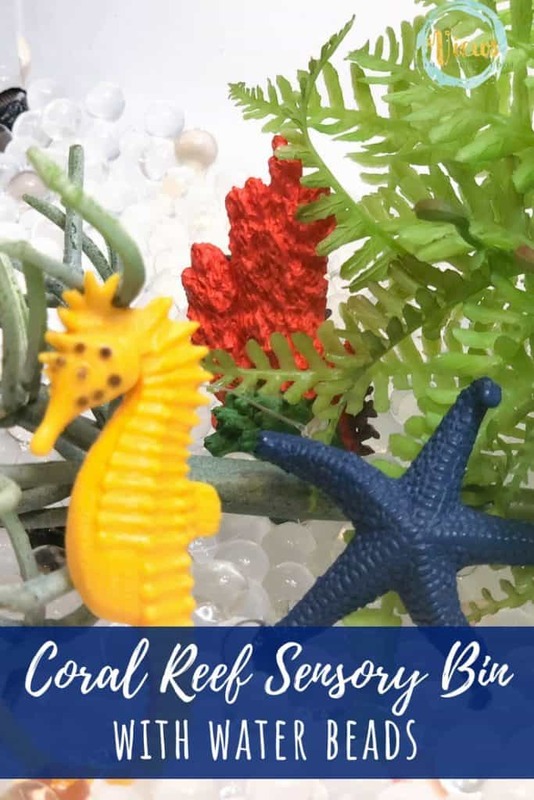 The coral reef ocean theme makes it a great one for an ocean preschool unit or some summer fun at home. Water beads are among our favorite sensory bin base. They look like they could be a bit messy (which they can be) but if done over a large plastic tablecloth or sheet, they become quite easy to clean up. Make the water beads according to package instructions. As a warning, these are purchased as small pellets that need to soak in water for a few hours to overnight to create the full water beads. 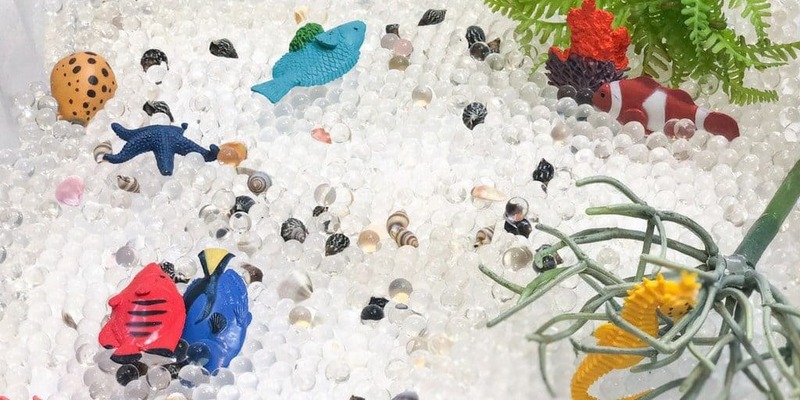 Add the water beads to a large plastic bin. 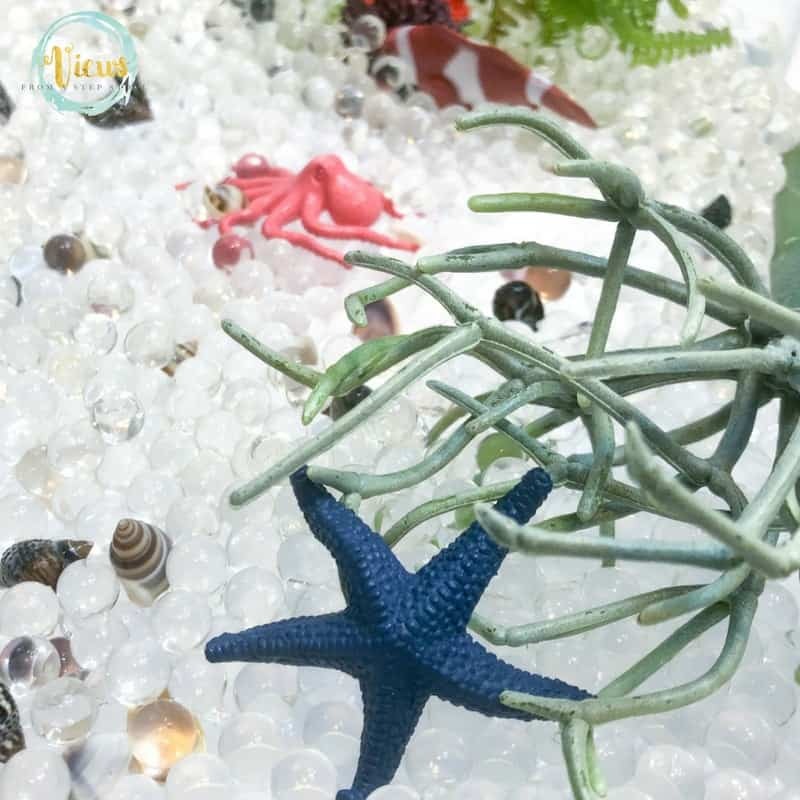 Place the mini shells, ocean toy animals and fake plant pieces to the bin. That’s it! 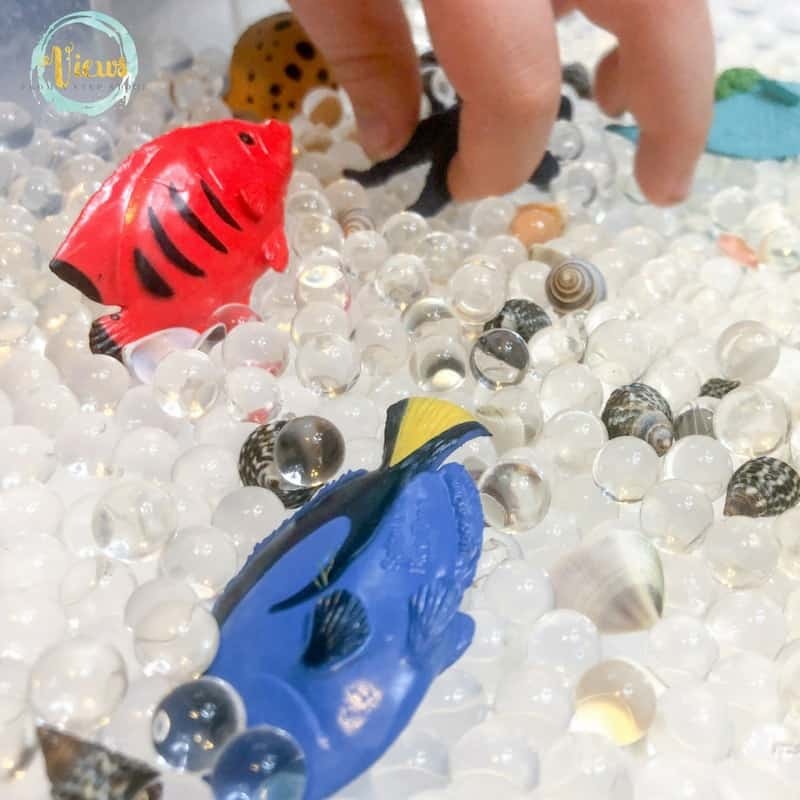 This is such an easy one to put together, and kids will love to make up all kinds of ocean stories while playing with this one. The scuba diver in this set was sure an integral part of the play that occurred in my house. These fake plant pieces are great for sensory play. They have made it into ocean and safari bins alike, and I love their versatility that they bring to each bin, and they play that they inspire. 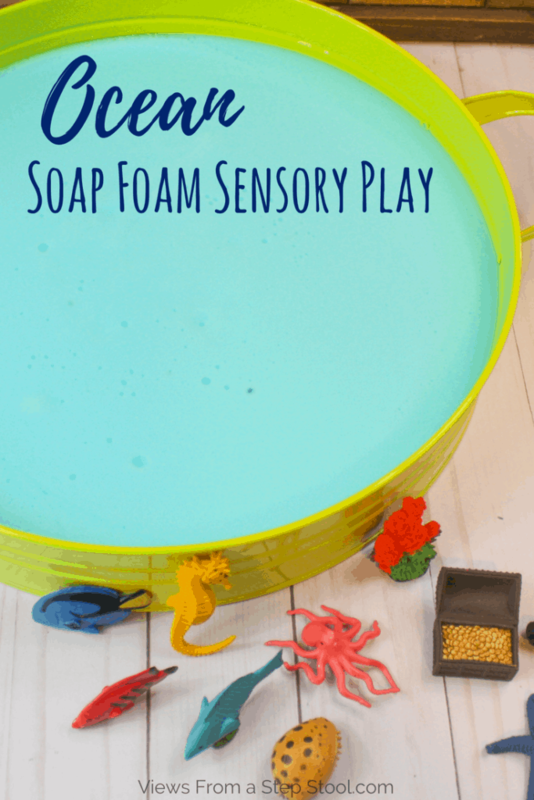 Have so much fun with your coral reef sensory bin – happy playing! 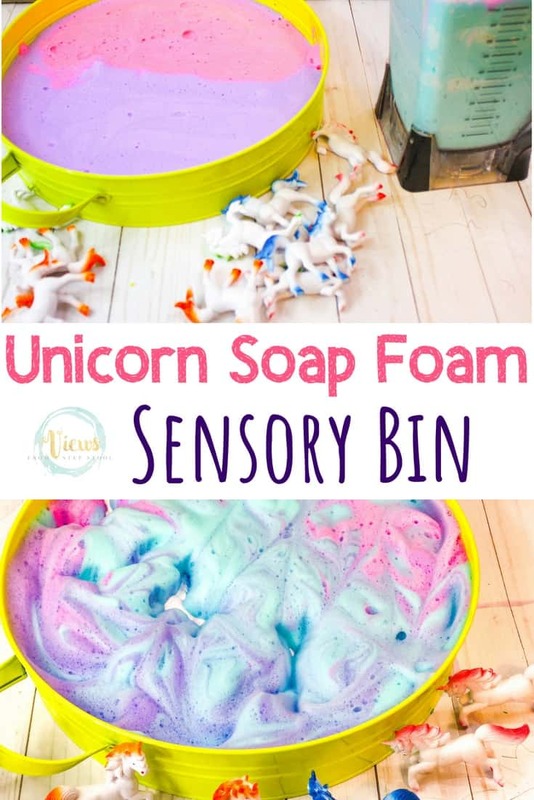 We used these same animals in our ocean soap foam sensory bin too – see it below!